I guess most of you Christmas folk out there probably already have your house lighted up with those fancy Christmas lights and not to mention an oversized Christmas Tree taking half of your living room space. 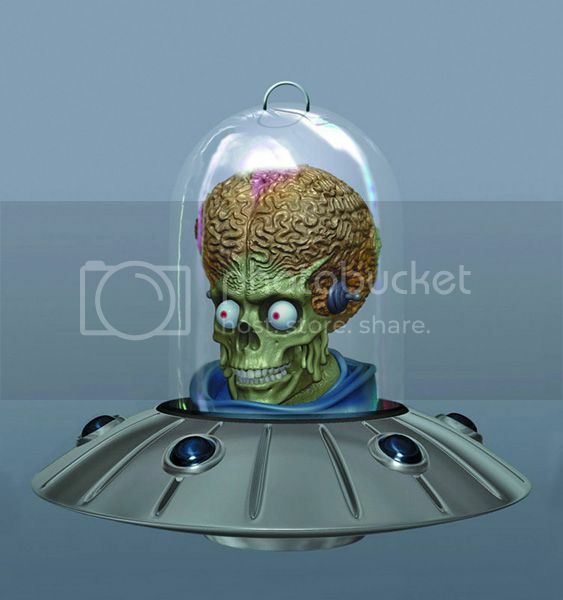 I'm kind of lazy myself and not really much of a decorator but I'd probably be motivated if I had a couple of these Mars Attacks Christmas Ornaments hanging around my tree. It'll probably be great for fans of the movie but kind of scary for small kids I assume. Anyways, if you're bored of the traditional stuff to hang on your Christmas Tree then this might be a good way to keep things interesting.